You need environment scripts to test if the proxy servers you are using are truly anonymous and to detect how private you are while checking the pages with your backlinks for Google PageRank and index. You'll get many pages with environment scripts. 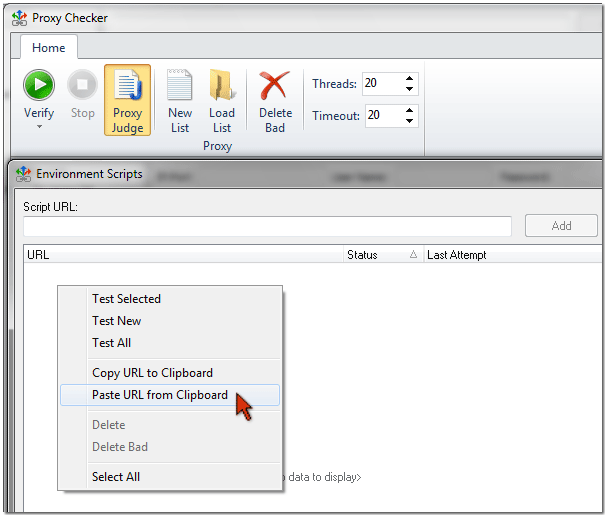 Copy the environment scripts URLs and add them to Backlink Diver. 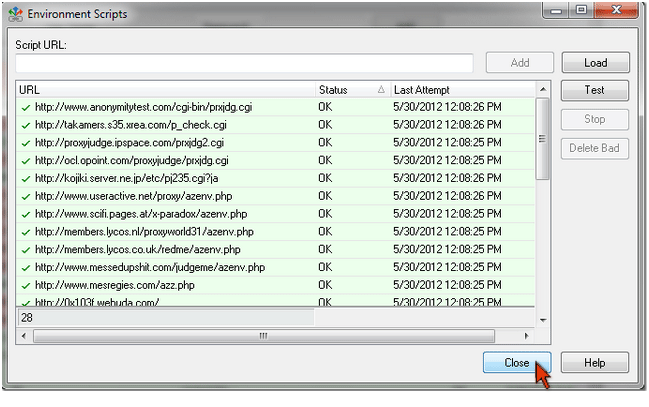 Click on "ProxyJudge" button on the Proxy Checker toolbar. Paste the script URL into the "Script URL" field. If you have a list of environment scripts in a .txt or .csv file, click Load. Copy environment scrips URLs to clipboard. Click the right mouse button in the Environment Scripts window. Select "Paste URL from Clipboard". Click on the Test button and select "Test All". After testing is complete, click on "Delete Bad" button to clear the list from not working environment scripts. Click Close to save the list of good environment scripts and exit the "Environment Scripts" window. Now you can use environment scripts to test proxy servers for anonymity.